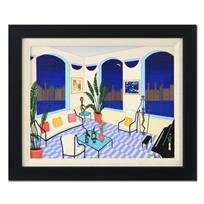 "Windows On Paris" is a limited edition serigraph on canvas, numbered inverso and hand signed by Fanch Ledan. This piece comes custom framed. Includes Certificate of Authenticity. Measures approx. 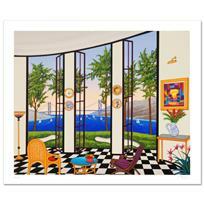 18.5" x 39.5" (frame), 12.5" x 33.5" (image). 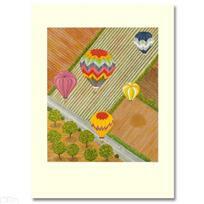 "Ballooning over Napa" Limited Edition Lithograph by Fanch Ledan. AP Numbered and Hand Signed with Certificate of Authenticity. Fanch Ledan - "Interior with Primitive Art" Framed Limited Edition Serigraph on Canvas, Numbered Inverso and Hand Signed with Certificate of Authenticity. "Captain's Headquarter" Limited Edition Serigraph By Fanch Ledan, Numbered and Hand Signed with Certificate of Authenticity. 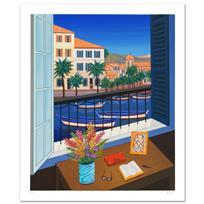 "Balcony Over Bahia" Limited Edition Serigraph By Fanch Ledan, Numbered and Hand Signed with Certificate of Authenticity. 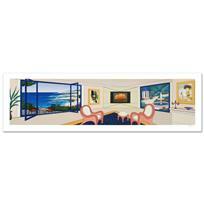 "Interior with Primitive Art" Limited Edition Serigraph by Fanch Ledan, Numbered and Hand Signed with Certificate of Authenticity. 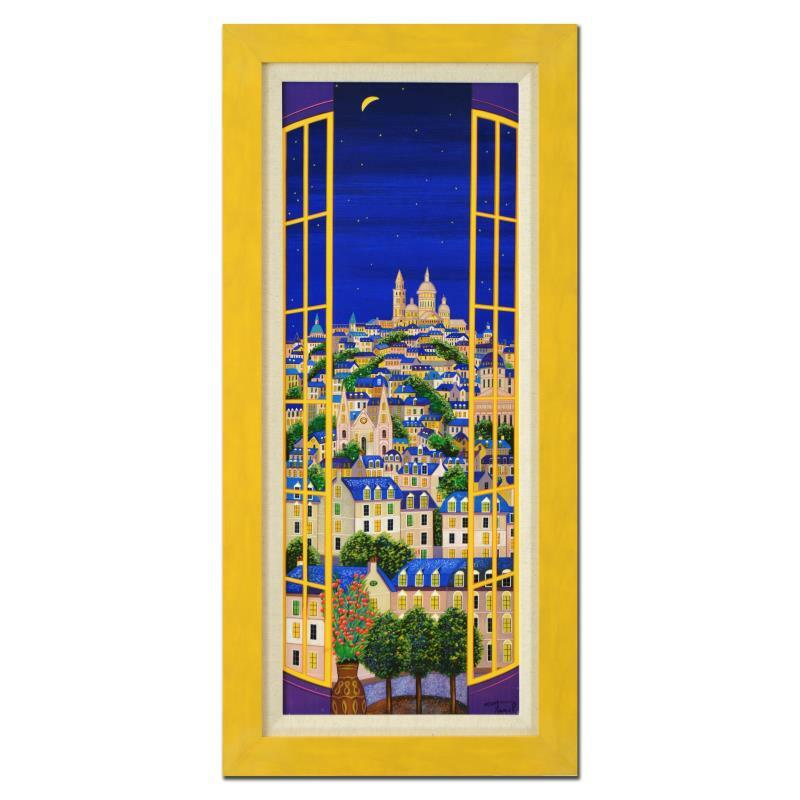 "Window on Bonifacio" Limited Edition Serigraph by Fanch Ledan, Numbered and Hand Signed with Certificate of Authenticity. 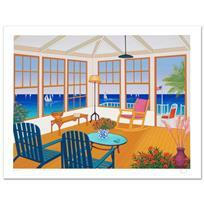 "New England Villa" Limited Edition Serigraph by Fanch Ledan, Numbered and Hand Signed with Certificate of Authenticity. 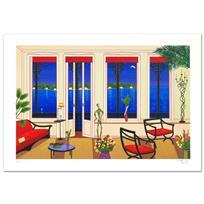 "Duplex Over Stinson" Limited Edition Serigraph by Fanch Ledan, Numbered and Hand Signed with Certificate of Authenticity. 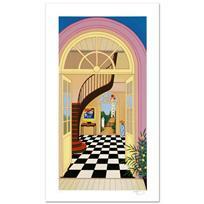 "Black and White Interior" Limited Edition Serigraph by Fanch Ledan, Numbered and Hand Signed with Certificate of Authenticity.